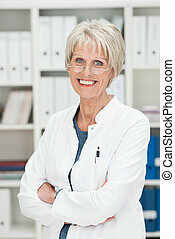 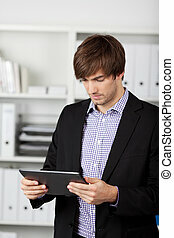 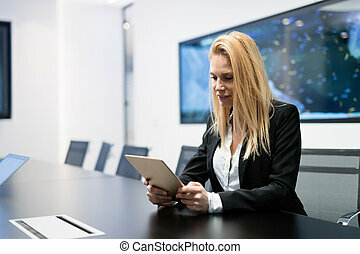 Businesswoman using digital tablet in office. 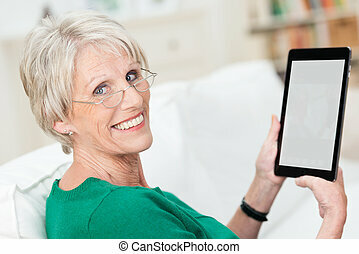 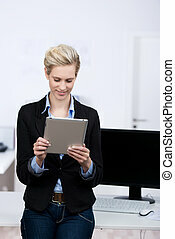 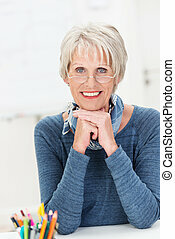 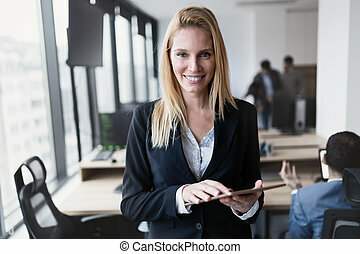 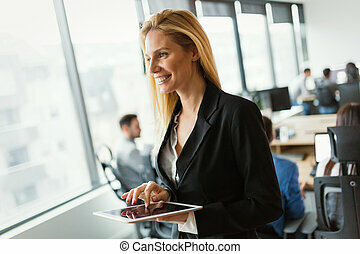 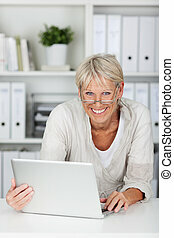 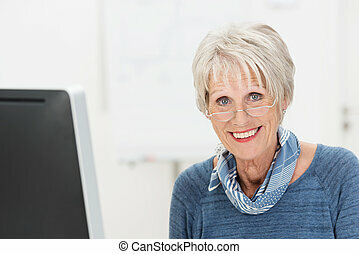 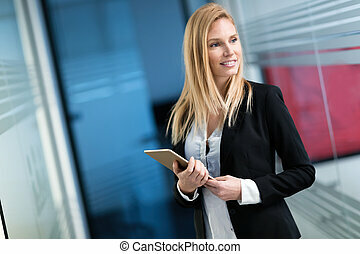 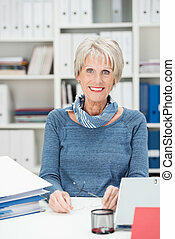 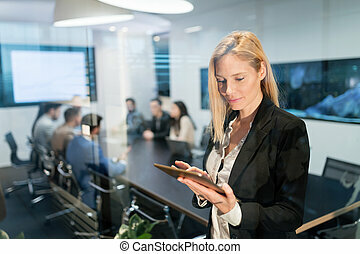 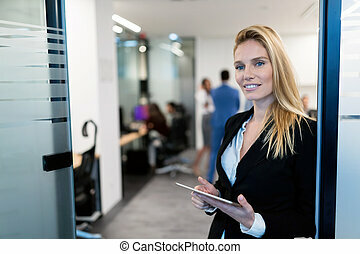 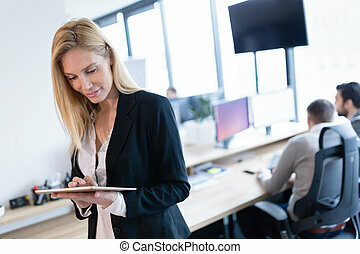 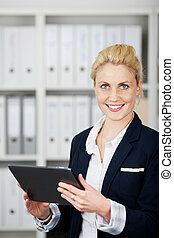 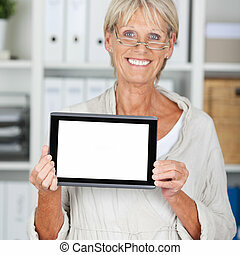 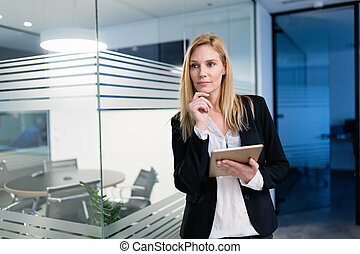 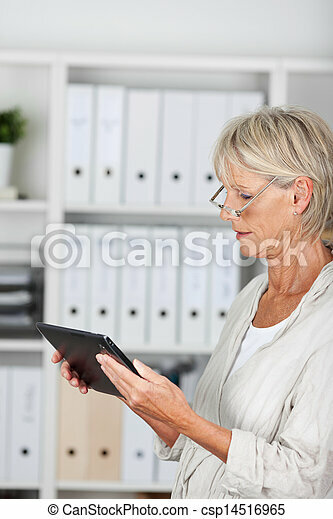 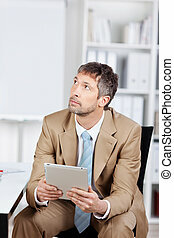 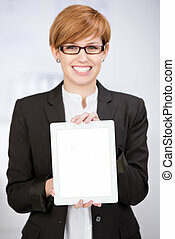 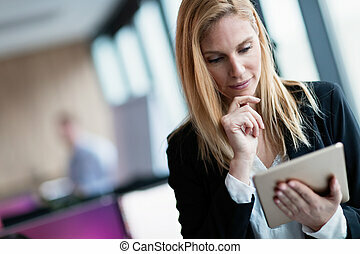 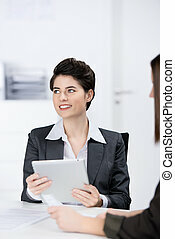 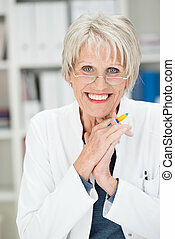 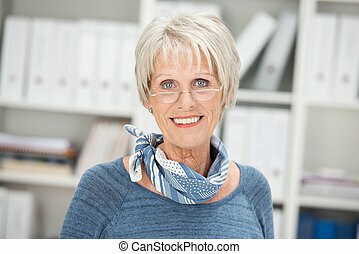 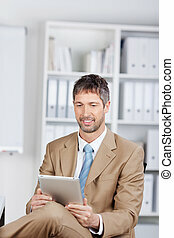 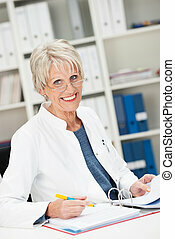 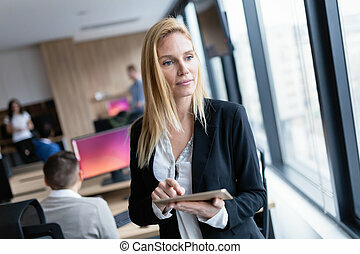 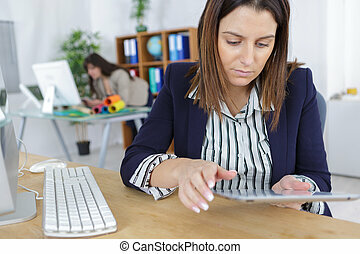 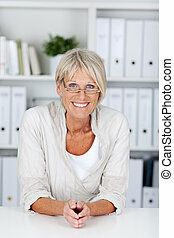 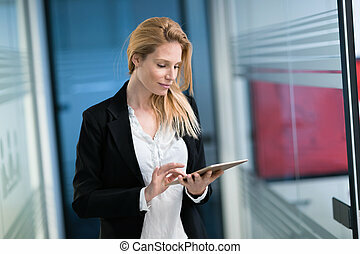 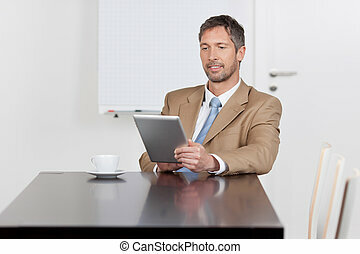 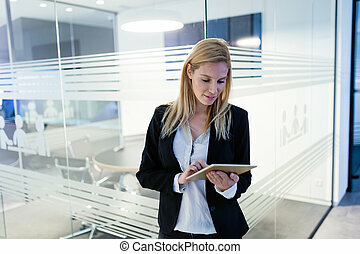 Side view of businesswoman using digital tablet in office. 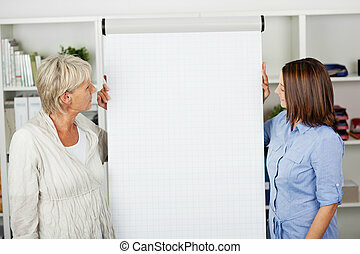 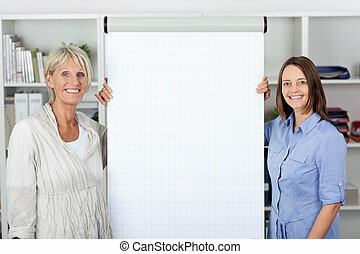 An elderly and young females looking at the flipchart in office. 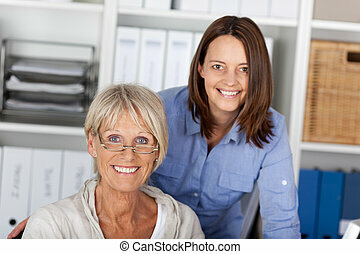 Two generations, younger and older cheerfully posing inside the office.